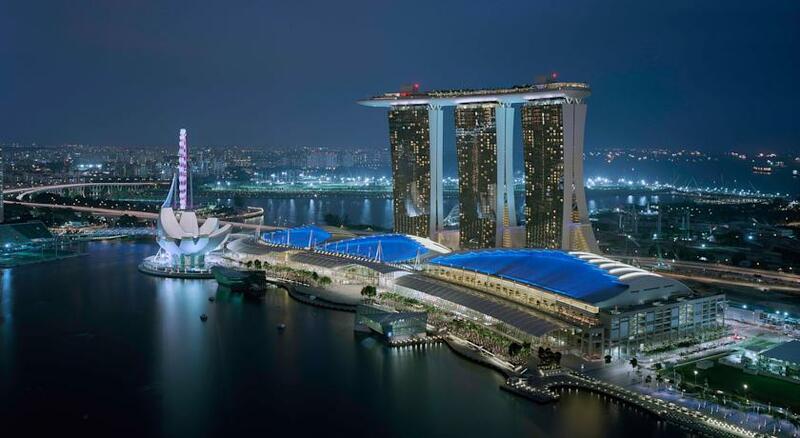 Marina Bay Sands announced net revenues of US$703.9 million for the quarter ended Dec 31, 2015 - a 16.1 per cent fall from the same period a year ago. Operating income for the quarter of US$246.5 million was down US$180.9 million, or 42.3 per cent. In a press release issued by parent company Las Vegas Sands on Wednesday (Jan 27), the integrated resort attributed the fall to the negative impact of the stronger US dollar. "While the impact of the stronger US dollar and low win percentage on rolling table games play each negatively impacted our reported financial results for the quarter, both gaming volumes and our non-gaming segments remain resilient.," said Mr Sheldon Adelson, Chairman and Chief Executive Officer of Las Vegas Sands. Sands saw falls in casino takings, down 21 per cent from the same period a year earlier to US$532.9 million; takings from rooms, down 4.1 per cent to US$88.3 million; and mall revenue, down 8.8 per cent to US$41.7 million. Room occupancy stood at 96.6 per cent during the last quarter of 2015, compared to 98.3 per cent a year earlier. The revenue per available room of US$379 was down US$36, or 8.7 per cent, from the fourth quarter of 2014. But those dips were propped up by income from food and beverage, up 9.1 per cent to US$55.3 million; and convention, retail and other sources, up 11.9 per cent to US$29.1 million.